For years I have worked in the realm of sustainable agriculture, primarily on coffee, tea and cocoa production and marketing. Awareness of our damaging environmental practices is growing in these sectors and sustainable sourcing is becoming a point of differentiation in the marketplace. Our customers are increasingly concerned about where their food comes from and pay great attention to whether it is produced in a responsible way. With improved information and understanding, our choices as consumers, producers and distributors can then reflect more pro-climate and pro-earth preferences. More recently I shifted my work to the world of sustainable wine to help my counterparts in various industries gain important insight into the complicated world of agricultural sustainability and what it is for a wine to be a sustainable food product. Drinking and learning about wine is fun!Moreover, among agricultural products, wine is uniquely positioned to open the door to the world of sustainable agriculture, leading to demand-pull driven increases in more responsible environmental practices. Now, you might ask, why is wine uniquely positioned to help advance sustainability in agriculture? First, wine is a broadly consumed agricultural product where consumers regularly engage in and enjoy gathering knowledge about their purchases. This is unlike nearly any other common agricultural product. Think of corn, zucchini, cheese or other products. It is highly unlikely that buyers of these products know or pursue the location of the product’s origin or the details about its processing when purchasing. 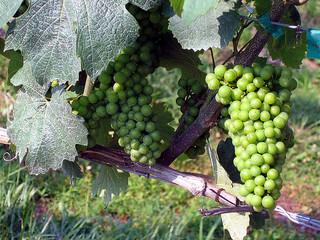 Yet with wine, both the consumer and the producer will often focus on the wine grape’s place of origin and the details of the winemaking process. Wine is the only major agricultural product where consumers and retailers can visit websites of growers and winery producers to learn about the specific origin of the product, the growing conditions and practices encountered in that growing year and the prescribed approaches used during the crush, fermentation, racking and aging. In wine regions worldwide, vineyard managers, farmers and winery owners are implementing better growing practices, preserving biodiversity, conserving energy and moving beyond simply organic farming to embrace a more holistic sustainable approach to winegrowing. 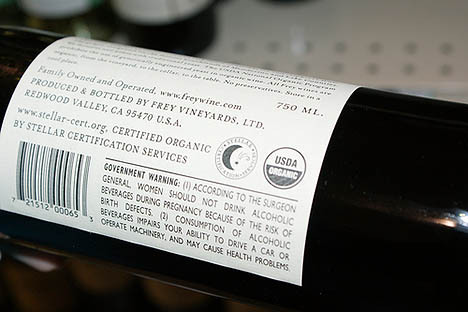 Second, wine growers, producers and even some retailers are now making available to the public information about product sustainability. Today, unlike other agricultural products, consumers can fairly easily learn about many growers pursuit of sustainable or organic farming or about a winery’s drive to make their wine sustainably. The information is available from self-reported comments in marketing materials and websites and from third party certification programs. Third, since wine is a fully international agricultural product that, as a bottled good, always retains its identity of origin, we can easily compare the sustainability practices of various wine regions around the world and to factor in the burden of transportation into an overall assessment of sustainability. With more consumers approaching wine buying with sustainability in mind, I believe that this type of thinking will carry over into other purchasing decisions and take sustainable agriculture to a new level of consumer awareness and expectation.